Is It really So Positive? It’s interesting reading all the positive news about UK house prices in the last few months and general commentary. What we would like to do in this Special Report is analyse this, then give pointers for investors as to whether property prices may rise in the years to come and areas that are likely to see very little if any house price growth. It’s important to look at the underlying trends and “route causes” of house price movements – before being able to assess which areas and types of properties are likely to see the biggest house price growth. 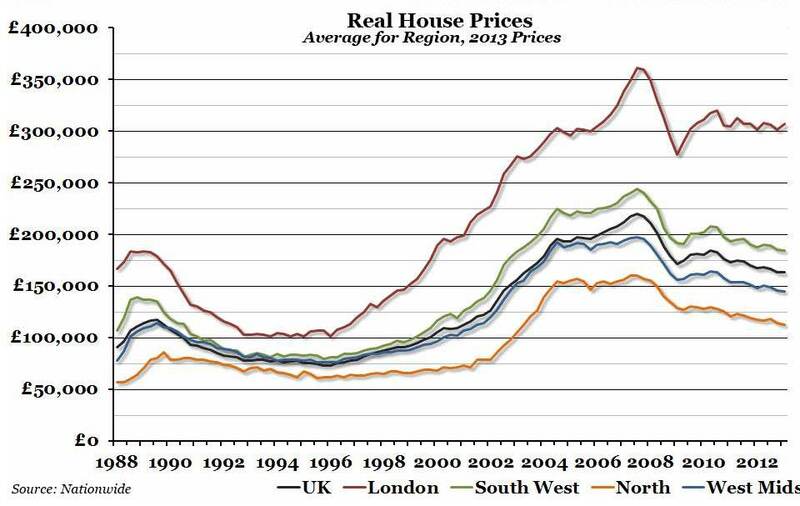 Slow Decline: First of all – house prices in all areas are down on an inflation adjusted basis since their highs of 2007 – except for the top 10% of London properties where they are marginally up. This might surprize many reading news articles at the moment – take a look at the chart below. Prime London Aberration: London is the only area that is seeing any significant property price increases, and within London it’s the top 10% that have moved rapidly whilst the lower 50 percentile end of the market has barely kept pace with inflation. Essentially 95+% of the UK homes still have house price inflation below general inflation and hence are in the doldrums – in a deflation or depression - in inflation adjusted terms. Depression: Large areas of rural Wales, Northern and Midland areas plus northern cities are still suffering from a slow house price crash or decline – a deflation – particularly when you consider general inflationary effects. The slow decline of public sector jobs, stubbornly high unemployment, very low wage growth, high taxes and inflationary effects of fuel and food have eaten into disposable incomes. Mortgage borrowing remains difficult, with further house price decline likely and confidence levels low. Industry is still contracting in most parts of the UK – peripheral areas well away from London are the areas that got the biggest boost during the Labour years 1997 to 2008 from public sector jobs growth. These areas are now re-balancing and in decline. The depression is likely to continue in rural areas away from the more affluent cities and university towns. In industrial northern towns and cities, except for may be Leeds and Manchester the continuity of a general depression can be expected. Addressing The Slump: This is the reason why the government is so keen to help first time buyers – it’s not London's first time buyers they are targeting, it’s the average person in the Midlands, North, Scotland, Wales or SW England. For many years, on the one hand they have asked banks to re-balance their books, helped with printed currency, kept rates at record lows only to find the banks hoarding the printed currency, not lending to first time buyers to avoid the risk – and in desperation the government have resorted to providing government guaranteed deposits to help first-time buyers raise the 20% deposit now required to get a private bank mortgage. The government and Bank of England want to stop further d eflation of property prices in all areas outside London – they are not trying to create a boom as some people suggest. In principle, its risky for the government and tax payer, because if there was widespread default by first time buyers in future years, the tax payer would have to pick up the tab. On the other side of the argument, the UK economy is in a pretty desperate state – may be some confidence and jobs boost in construction with property prices stabilizing would actually help the economy get moving again – in lots of shapes and forms. Deposits Risen 20 Fold: Recall from 1990 up to 2005, first time buyers with an average job could get a mortgage with a 5% deposit. 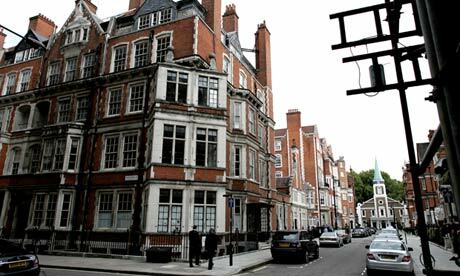 This disappeared in 2008 and the government is trying to redress this issue – since a deposit on a London Fulham flat in 1990 was 5% of the £65,000 asking price – or £3,250, whereas the same flat costs £350,000 now so a 20% deposit would be £70,000. That’s a twenty fold increase! No wonder there are so few first time buyers. If this was to continue for another ten years, it would cause a generation of non home owners – and with no public sector housing being built – it hardly helps the socio-economic climate and cohesion within the UK. Phased Approach: The first stage of this deposit scheme for new-builds certainly seems to have coincided with the property market moving into first gear from reverse - whether this is pure coincidence, Spring arriving, easier borrowing or an outcome of the budget remains open to question. The next phase – with deposits on re-sale properties planned in Jan 2014 will likely provide a further boost. 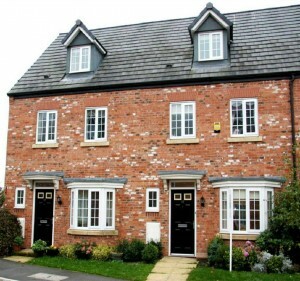 Buy to let investors will likely also have access to this scheme if required. The mere expectation of the positive effect – like all markets – is probably encouraging people to jump into the property market rather than take no risk and stay on the side-lines watching. Vote Winner: The sceptics would say this policy is just designed to win votes prior to the next General Election – and indeed, this probably has something to do with it. But frankly, everyone’s complains about everything that Osborne does – he’s sticking to his guns with the austerity drive which is pleasing the financial markets at least – and in our view is – by end 2014 – despite the economic headwinds – if he brings down the deficit and gets the property market moving – the economy could start to look far healthier dare we mention this! Last Chance: Let’s face it, the GDP growth has been miserable - negative if real inflation rates are considered - with North Sea oil production in decline, the deficit staying huge, the public sector remaining bloated, and the private sector struggling - construction is in a depression and unemployment is high. The only jobs being created are low paid jobs. Many people now have more than one part time job just to make ends meet. The last ditched and only sure way to boost the economy and confidence is to get the housing market going again after 6 years in a depression. It’s also the only way the Tories stand any chance of winner the next election if everyone is frank about things. Sterling Decline the Same As Prime London Price Rise: It’s also worth describing why London property prices have risen so sharply versus other areas. This is where one needs to consider the “big picture”. Sterling has dropped 25% against most currencies in the last five years – this has made London property appear 25% cheaper than it used to be – we are talking here about the type of property the super-rich investors buy – namely prime London real estate. So should we be surprized that prime property prices have risen 25% from their lows? No. Against a basket of global currencies they have not risen at all. Flats in peripheral London areas are about 15-20% below their 2007 levels if you consider currency and inflation effects. Property prices in global currency terms in places like Birmingham and Leeds are still crashing downward – they are barely up anywhere. Why Property? : Okay, this does not sound particularly positive. You might be asking yourself why buy property. But here is this incredible opportunity in the long term that all property investors need to understand. Inflation Huge Help: If you buy a property for £200,000, you borrow £150,000. The currency declines and inflation rages over 20 years - as is normal. Your property is now worth £400,000 and the borrowing is still £150,000 assuming an interest only mortgage. Your equity has risen from £50,000 to £250,000 – although that £250,000 will only be worth £125,000 in money of the day terms in 20 years time. In summary, inflation and currency decline rapidly eats away your debt and increases your equity – and property is therefore an excellent hedge against inflation. They Will Never Allow Long Term Deflation: Some of those doubting Thom as’s will say – what about deflation? Well, in western society – prolong deflation of property and asset prices in currency terms (rather than gold-money terms) is almost unheard of. Central Banks will do whatever it takes to create inflation. Even if we have very high general inflation, and property prices do not keep up with the general inflation, they will have to move up somewhat and in doing so, the proportion of debt to equity is eroded and the equity levels increase. Deflation Kills a Property Investor: In the current London scenarios of 7% property price inflation and 3% general inflation, property prices are rising 4% above inflation – very nice. But even in Leeds, where property prices are rising at 2% and general inflation is 3%, which is a real terms decline of 1%, it still means the debt is devalued by 3% in a year in real terms and equity is increased by about 2%. An extreme example would be if general inflation was 15% and house prices rose 10% - the debt would be eroded at 15% - and equity would increase by about 10% - the following year the interest rate payments would be 10% lower in real terms. When rental prices rise, this creates a further boost to a property investor’s cash-flow - further increasing returns. This is why rich people buy property as a key plank in their investment portfolio. Hooray For Some Inflation: The bottom line is – if property prices rise, inflation is reasonable, rental prices rise and interest rates are low – this is the perfect scenario. We are just approaching this scenario in London. But it cannot last forever – interest rates could rise sharply, or rental prices drop back. Property prices can of course drop as well. But with the current government trying to stimulate the rest of the UK out of a depression – with low interest rates, currency printing, currency debasement and free deposits - the outcome is likely to be higher property prices driven by the super-rich foreigners in London and moderating or slightly rising property prices in the rest of the UK, particularly in the more affluent areas within each region or city. Population and Housing Supply: So far, in explaining UK house prices tren ds, we have not yet mentioned two key other drivers. Firstly, that very few new properties are being build. The second is the population boom. High Risk Building: Most builders are pretty close to bankrupt – and certainly cannot take much risk after the housing crash of 2008. Banks are quick to pull the plug on funding – foreclose. Don’t expect the poor old builders to come out and start building masses of housing to solve the housing crisis. It’s just not going to happen. At best, we will see the occasional low risk small extension or conversion, but very few new homes will be built – especially n ew houses. When was the last time you saw a mansion being built – everyone objects – it’s not allowed to build large houses – call it envy, jealousy or Nimbyism – these nice big quality homes never get built anymore. Population Boom - Demand: The other aspect is the population boom. This is caused partly by net inward migration of about 100,000 people a year, and partly because from 2002 (also seeming to coincide with the big increase in inwards migration) the fertility rate went up. It continues to rise – particularly in cosmopolitan areas. London is a good example – where primary schools are full and a severe primary school shortages are now evident. This is no surprize. We projected back in 2004 that London’s population would increase by 800,000 in 10 years – it has delivered on this – and we project a further 800,000 for the next ten years - the scene is set for this population growth to continue - it's not possible to reverse it. No Surprize London Prices Rising: So for London, when you consider the buoyant jobs market, booming population, high-tech industries, subsidized deposits, low exposure to public sector jobs, currency debasement of 25%, foreign investment because of lower house prices, housing shortage and lack of building – is it any wonder property prices are rising! The answer is no. Best Investment Areas: We think you will agree the above criteria help increase property prices. We are now going to name a bunch of city areas that match almost all or all of the above criteria. Then you cannot go far wrong in the longer term by invest in property this these areas. Victorian Property: Our guidance for residential property is to buy re-sale Victorian houses and flats that are suitable for the upper 50% wage earners, in quiet residential areas as close as possible to new stations and infra-structure. Best avoid busy-noisy streets and polluted streets. In selecting such areas, one should avoid high crime areas, and be positioned for when wealthy professionals start to move in, in large numbers when property supply is limited. Environment: People are becoming increasingly sensitive to pollution and the environment, so we advise staying well clear of Heathrow which has some of the highest air pollution levels in Europe. It also has some of the worst noise pollution. It's set to worsen over the next twenty years. 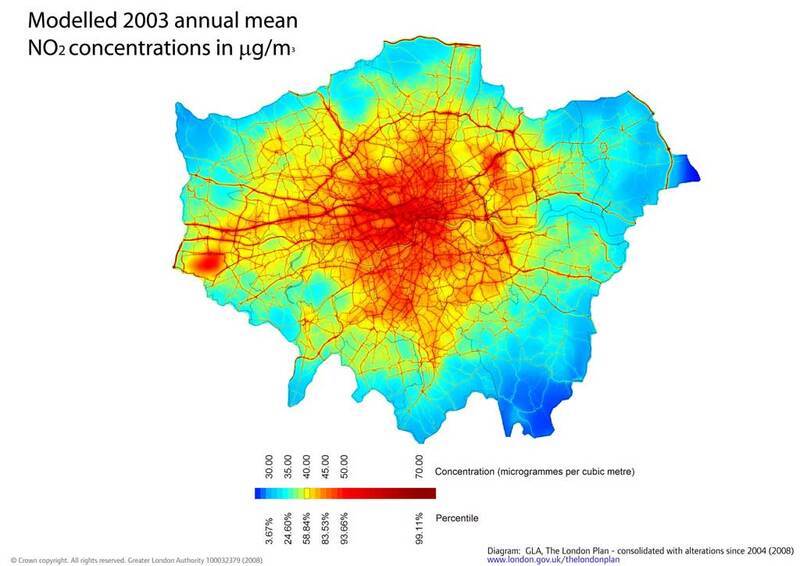 The below pollution map should help. Depression: For some examples of places exactly the opposite that we really cannot see coming out of the doldrums soon are: Hull, Liverpool, Barrow-on-Furness, Newcastle, Middlesboro-Redcar, Stoke, mid Wales, Bury. If there is higher crime, low population growth, exposure to public sector jobs cuts, high unemployment, lack of new high-tech industry and an aging population – best avoid these areas. Quiet, Close to Crossrail, Not New-Build: If you buy new-build, you normally give your returns to the developer. People like new property which means re-sale or previously new property are often more difficult. But if you buy Victorian flats and houses that need improvements – you can easily add value. Foreigners and locals tend to view living in old Victorian properties as more prestigious and they like their character. If you can buy these types of property in quiet streets with low crime – within 5 minutes walk of a new Crossrail station for instance, you will see these property prices rise sharply in the future – particularly as Crossrail opens in 2018. That’s in only five years time. So buying now is pretty perfect timing – because Crossrail is actually being built – so it’s almost certain to be completed. This reduces your investment risk. But it’s well before the hoards arrive.